Upside down poses in Yoga classes can seem a little daunting. It takes time and dedication to work through the intricacies of what the body needs to do to get everything in place in order to be in inverted positions in a safe and beneficial way. This workshop is designed to break down the elements of being upside down so that you can tackle them safely and with confidence. We will look at the strength required for various inverted positions and what exercises you can do to build that strength. We will workshop headstands, handstands and forearm balances and all the steps that take us there. Please note that you certainly do not need to be able to find these poses in order to come. 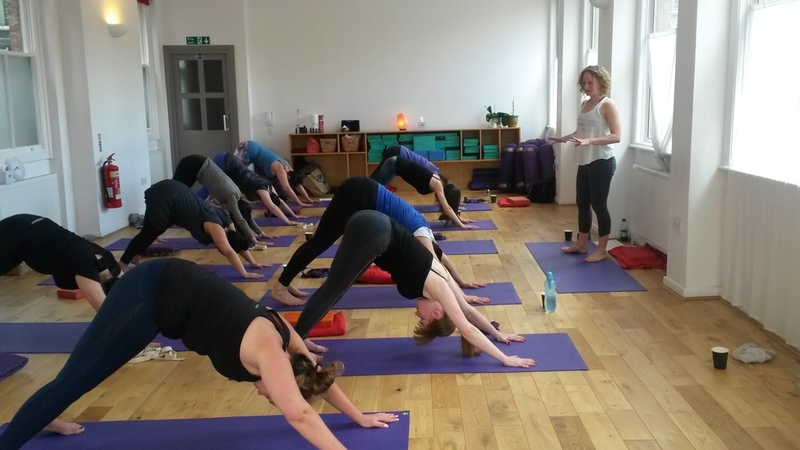 The practice of yoga is a continuous journey and you are welcomed to this workshop wherever you are on that journey - be it wanting to begin your route to upside-down or to fine tune your upside-down practice or anywhere in between. The practice will be an open level. We just ask that you bring your openness and daring and a playful spirit. Variations will be provided throughout so that you can work toward any pose, regardless of where you are currently working.